Aloha Pokē Co. is Chicago’s pokē pioneer. Our first location was a tiny food stall in a train station and now we are the classic story that ‘BIG things come in little packages’. The intention is simple: pack fresh, fast and tasty bowls of quality raw ingredients. We have a mission to rethink fast food and we are here to provide a healthy meal that fuels the day. Born & raised in Chicago, we are spreading our wings from coasts to capital! 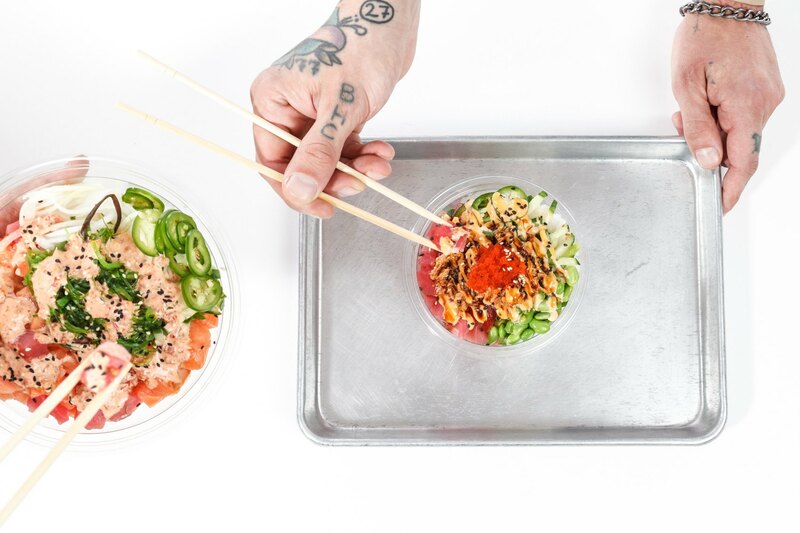 Our Tuna is long line wild caught from the Pacific Ocean using sustainable practices. Each day we slice, dice and serve over rice. The product we serve can be tracked from fishing line to chopstick through traceability innovation programs. Our Atlantic Salmon are farm raised in one of the most optimal & sustainable ecosystems, the coastlines of Norway & Chile. These clean, clear environments ensure the salmon maintains its naturally high fat & oil content, resulting in great taste & texture. We encourage our guests to get lost in the sauce. Made in Chicago, our Spicy Aioli & Samurai combo is a crowd fave. Our Volcano Sauce is that hot fire 🔥. But you’re gluten free? Vegan? Cool, we got options! Just ask our team for a recommendation. 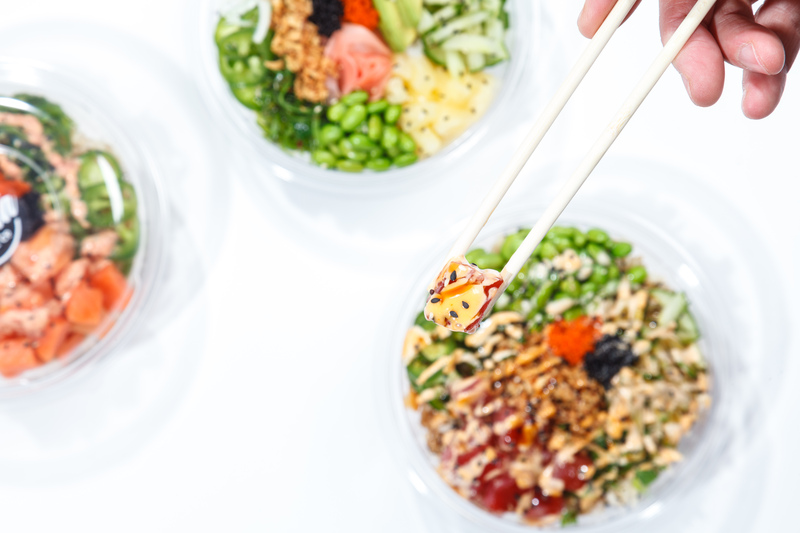 When it comes to our pokē, it’s about dat’ sauce. Find your go-to and make sure your bowl gets sauced!